1. Colombia’s courts do not normally recognize U.S. custody orders. The U.S. State Department has declared that, “While Colombian courts can recognize or enforce U.S. custody orders, they generally refuse to do so. In a Colombian court, Colombian law takes precedence over U.S. law. A Colombian court order granting custody to one parent will prevail over an order issued by a U.S. court.” Nor is there is any extradition from Colombia for international parental child custody. 2. 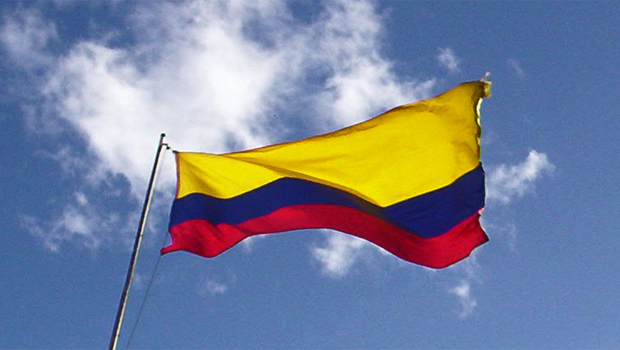 Colombia is noncompliant with the Hague Abduction Convention. Its courts treat Hague cases as if they are custody cases, which is a serious and fundamental violation of the terms of the treaty. Its courts act slowly and inefficiently, conducting lengthy home studies during which time the abducted children become settled in the country, thereby opening the door to an ultimate finding that the children should not be returned to the United States. Its appeal procedures delay matters further. Colombian courts open their doors in Hague cases to the entire custody issue(s) rather than limiting their inquiries to the strict provisions of the Convention. Not only is this practice in direct violation of the terms of the treaty but it also causes enormous expense, great delays and is most unfair to the left-behind parent in the United States. 3. These opinions are based on my own experiences with child abduction cases in Colombia over the past several years. My opinions are supported further by the official opinions of the U.S. State Department, which in my opinion are highly authoritative and reliable, albeit most conservative and diplomatic, and are relied on by courts throughout the United States and in other countries and by international family lawyers throughout the world. 4. Colombia’s violations of the Hague Convention have caused the United States Government to label Colombia repeatedly as noncompliant and, most recently, to make a formal diplomatic protest against Colombia. 5. In one report, the U.S. Government complained that, “Misunderstanding of the nature and purpose of the Convention in Colombia has led to faulty decisions in Colombian courts. Representatives from the Colombian Central Authority have stated that the Convention exists primarily to protect a child’s best interests, rather than to permit return of a child for a custody determination (and best interests analysis) in the courts of his or her habitual residence." They also have stated their belief that the Convention’s jurisdictional focus is outweighed by Colombian law and the UN Convention on Rights of the Child. 6. The U.S. Government has repeatedly complained of heavy delays in handling abduction cases in Colombia. This is consistent with the findings of the World Bank Group that on the average commercial contract cases take an astonishing 1288 days (3½ years) to be resolved in Colombia. 8. Accordingly, at that time the United States Government through the U.S. Embassy in Bogota, Colombia delivered a formal diplomatic complaint – a “demarche” – to Colombia protesting Colombia’s noncompliance with the terms of the Convention. 9. Based on such factors, the Superior Court of New Jersey ruled in 2014 -- in a case in which I provided expert testimony as to international child abduction and Colombia -- that the child’s Colombian mother should not be allowed to take the parties’ child to Colombia because the risk of her retaining the child in Colombia outweighed the benefit of international travel.